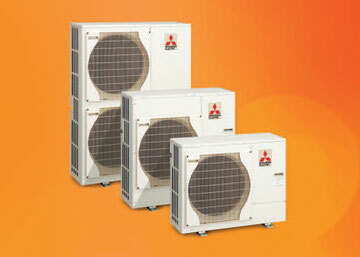 Air Source Heat Pumps - a short non-technical introduction. Sited externally and operating on similar scientific principles to a domestic 'fridgefreezer, but by collecting heat energy from the exterior air and transferring it to the interior using a conventional wet central heating system (with radiators). Remember the -24C of a domestic freezer and you will see how a heat pump still works at winter temperatures . Seasonal fuel efficiencies vary, usually in the range of 300 - 360% achieved by providing smoothly controlled lower flow temperatures. Heat pump efficiencies are maximised when flow temperatures are minimised, and for this reason underfloor heating is the preferred emitter system. Alternative radiator type systems are available, with newer SmartRad designs optimised for use with the heat pump. Heat pump systems are also capable of providing a copious supply of hot water, using advanced automatic controls and hot water storage cylinders of optimised design, with solat thermal coils if required. Ecodan from Mitsubishi has been awarded the Quiet Mark for market leading low noise levels in operating conditions. Ecodan offers outputs from 5kW to 84 kW with simple yet sophisticated self-learning controls. Newly introduced split systems offer increased flexibility in locating your outdoor unit. Heat loss from your home.......? A full assessment of the thermal characteristics of every property is a requirement of any Microgeneration Certification Scheme installation, to inform the design decisions for a proposed renewable energy installation. 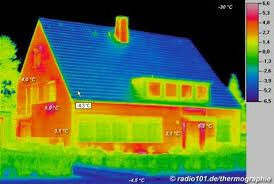 We can offer Property Thermal Assessments similar in character to Energy Performance Assessments carried out as a requirement when marketing a home for sale or rental.